The photo sent to the Borgnanas after the Prince’s visit. A Bristol restaurant has revealed how Prince Charles celebrated going on leave with his military pals when he was the same age as Prince Harry. While his son hit the headlines around the world this year for his pool party in Las Vegas it has emerged that Charles took a bus ride to Bristol where he had a nice Italian meal and a night out at the theatre. 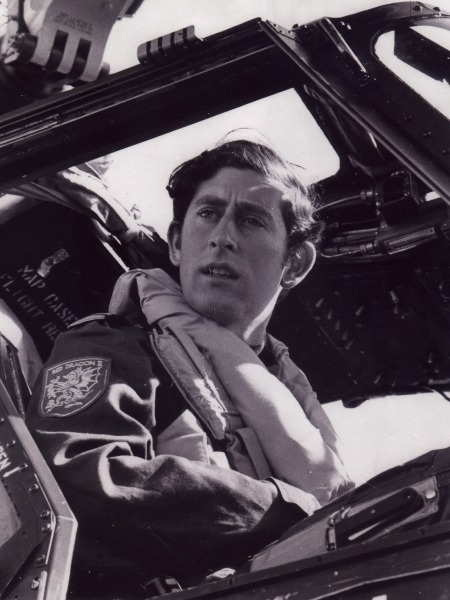 The night out in Bristol’s King Street took place on December 4, 1974 when Prince Charles, then aged 27, and 15 fellow officers from 707 Squadron of Royal Naval Air Station in Yeovilton were surprise visitors to Renato’s Taverna dell’Artista in Bristol. The restaurant, which has been run by the same family for 40 years, with its four generations of loyal customers, is a popular haunt of actors, writers and musicians and is just a few yards from the famous Bristol Old Vic Theatre. Angela (AKA Angelina) Borgnana, who now runs the restaurant with her brother Giorgio, says her mother and father were shocked when the heir to the throne arrived with his friends. The table had simply been booked for a party from Yeovilton. She said: “Mum and Dad were sworn to secrecy so none of the customers could believe their eyes when Prince Charles walked in. Photos weren’t allowed but some of the faces that night were a picture! “The Prince ate spaghetti and said it was very good and his social secretary Lieutanant Derek Mann wrote “excellent food” in an autograph book Mum produced. A photograph of Charles flying a helicopter was sent to the restaurant a month later with a note saying that Charles had “enjoyed his night out”. Prince Charles’ party then went to the nearby Old Vic to watch a performance of The Arrest. They were spotted and – rather like Prince Harry at the Olympics – Charles and his friends were given a spontaneous round of applause by the audience when they entered. After the play he went back stage to meet the actors. The whole group then left for Yeovilton on an old boneshaker Naval bus. All a little different to Prince Harry’s celebrations in 2012.